K-99 highway traverses the dam for the lake. - Photos by Jim Mason Pottawatomie State Fishing Lake No.1, surrounded by bluestem prairie and bordered by woodlands, has a variety of wildlife. In summer, great blue herons can be seen feeding in the shallows. Early spring and fall will bring migrating waterfowl, including buffleheads, common goldeneyes, and green-winged and blue-winged teal. 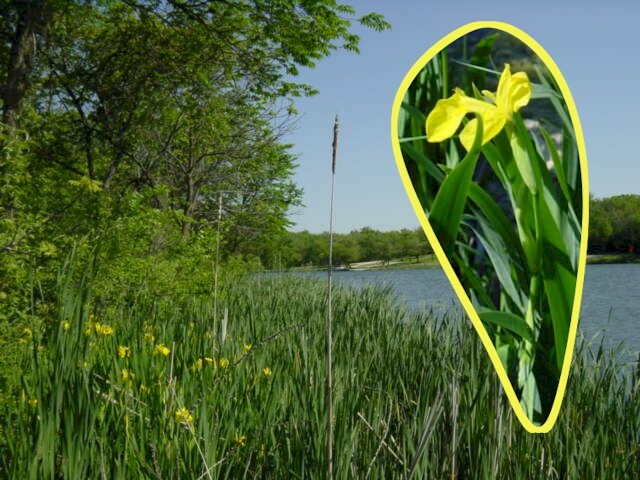 Yellow Iris (Iris pseudacorus) mingles with the cattails on the shoreline. Look along the stream at the north end for beaver dams and feeding signs. Be alert for white-tailed deer and raccoons. In the woodlands watch for great horned and eastern screech-owls. Warblers, flycatchers, and vireos are present during migrations. Along the edge between woodland and grassland are northern cardinals, blue jays, northern flickers, and downy woodpeckers. Local raptors include northern harriers, red-tailed hawks, and American kestrels. Handicapped-accessible restroom, Picnic tables, Boat ramp. Click the icon to find a birding list for Pottawatomie County. Directions: From Westmoreland (20 miles NE of Manhattan) take K-99 5 miles north. Each of the three entries off the highway has limited visibility, so exercise care when entering or leaving the park. Ownership: The entity responsible for management of Pottawatomie #1 is the Kansas Department of Wildlife, Parks & Tourism. Contact them at (785) 273-6740 if you have specific questions about the use or management of this site. 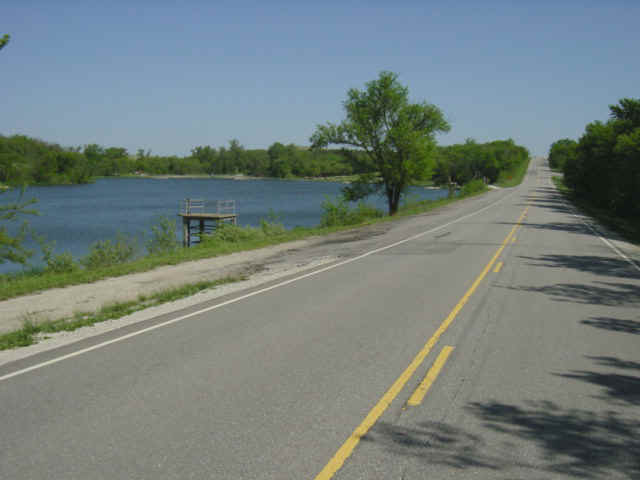 You may download the KDWPT brochure on Pottawatomie #1 from their web site.